Moyo is a Tanzanian design house reflecting a vibrantly individual African aesthetic with a contemporary flare. 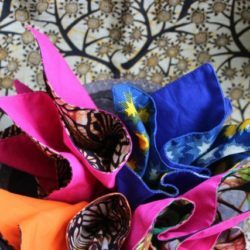 Moyo produces home décor and fashion accessories all crafted out of traditional Swahili textiles (kitenge wax and khanga), and various local and recycled materials. These products are embellished with pompoms and Masaai beads resulting in a rather preciously quirky range of products. A signature Moyo design is the magnificent dried banana fiber baobab tree. Dressed in meters of kitenge cording, this animated sculpure is then bejeweled with beads and adorned with fabric pompoms. 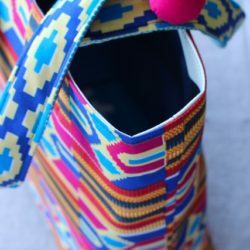 Moyo designs are hand made by a group of 18 trained local artisans, who masterfully work away out of an in-house workshop in Dar Es Salaam. Address: P.O. Box 21248. Moyo Shop, Slipway, Msasani – Masaki. Export products: Embellished cushions of various shapes. 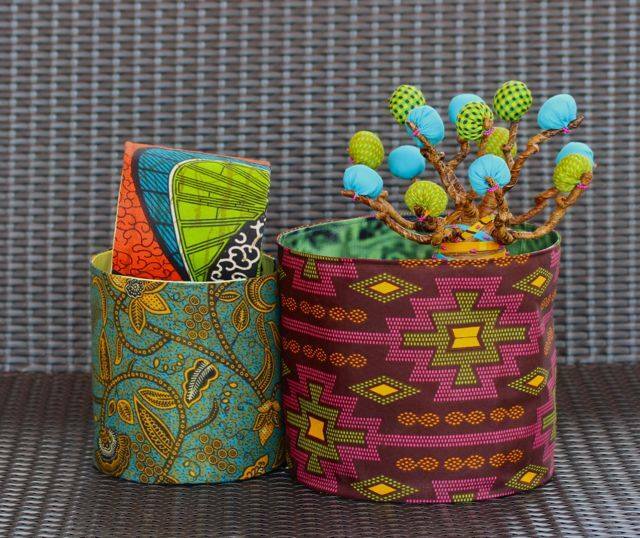 Elegant kitenge table wear. Adorned baobab trees and containers and bags crafted out of recycled billboard materials. 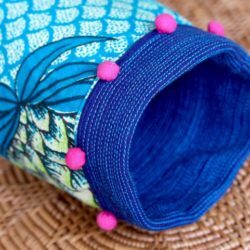 Various Swahili inspired pouches and baskets.